Motivating pupils to engage in physical activity can be tough, especially in winter when the weather is cold and wet, and activities seem to hurt that little bit more. Nonetheless, it is important to stay active all-year-round. We recently published our top tips on keeping children active outside of school during the winter, and this blog will continue to outline ways to get students engaged in P.E lessons during the winter months. For most people, playing sport in the winter becomes less enjoyable due to the harsher conditions. Cold muscles are more prone to injury, cold skin is more pain sensitive during contact with surfaces and other players, and the wet weather usually makes playing sport messier. Fortunately, a simple way to counteract this is bringing sports indoors. The option of moving cricket indoors makes this summer sport a great activity for any time of the year. The numerous indoor versions of the sport include 6 aside leagues and hardball. However, for children, a simple Kwik Cricket set is all you need. Indoor cricket is a fun and fast game that allows people of all ages to have fun and get involved in all weather conditions. Indoor football allows pupils to play a winter sport even when the conditions are too harsh outside, such as when there’s ice, snow and hard ground. Offering indoor football can be as simple as getting a foam ball and a set of cones, to using indoor goal posts, goal keeper crash mats, indoor markings, and felt covered indoor footballs. This is a little tougher to implement if you don’t have the facilities. However, if it’s possible for your school to offer, this is a sport that children of all ages and abilities can enjoy. As it is not a typical UK sport, children are always eager to get involved. This game is fast paced and has rolling subs which means everyone can get involved. For older children, this is a great idea that is accessible to all. Whether the aim is to work on sporting performance or simply general physical fitness, everyone can benefit from experiencing the gym and all that it has to offer. In gym sessions, it is important to teach that technique is important and that weights shouldn’t be started too young. Additionally, it is essential to promote the notion of improving health and fitness rather than aesthetics and losing weight. Within these sessions, it is great to teach different activities for different needs. Examples of this include sprints and plyometrics for improving power and speed, HIIT (High Intensity Interval Training) or circuits for peak performance, and cardiovascular training for endurance. School trips are always popular with pupils. Sport trips are great because they allows children to experience different sports in different locations. 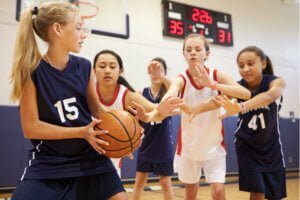 With a sports tour abroad, you can provide your students with a unique opportunity to experience a new culture as they expand on their sporting skills. A trip to the local leisure centre or swimming pool is a fantastic way to promote fitness in the colder winter months. Swimming is a great sport for general health and fitness, and it is an important and valuable skill for anyone to learn. It is also a good option for those that have an injury as swimming is zero impact. A nice idea is to have ¾ of the lesson structured, and leave ¼ for fun time. Now, before you get too concerned, we don’t mean flying to the Andorra for a P.E lesson! 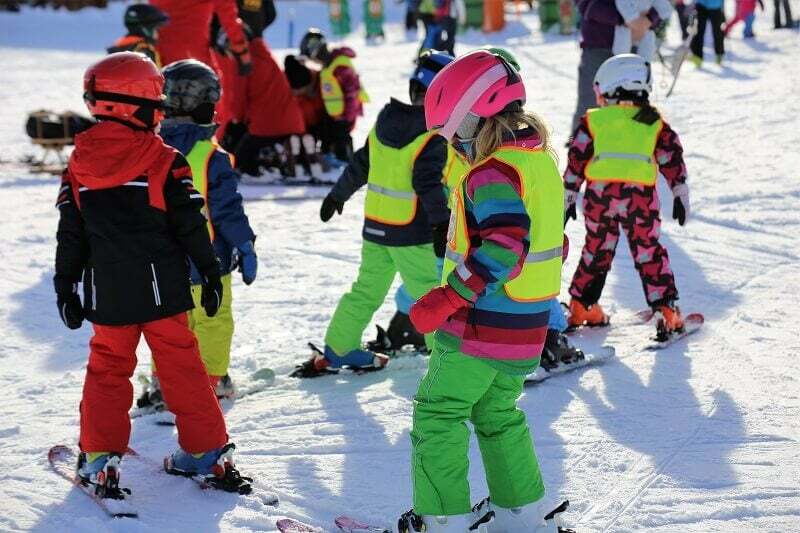 A great introduction to skiing is on a dry or artificial slope, though whether this is feasible will completely depends on how close your school is to a facility. Skiing is an activity that many children have never done. In turn this could lead to travelling abroad for school sports tours, and the adoption of the sport as a competitive activity. At Inspiresport, our partnership with SnowSport Wales enables us to give schools access to their great dry slope facilities at Cardiff Ski Centre. Ensuring that children enjoy sport and physical activity is essential. Encouraging children to take part in different sports in a way that can make them more enjoyable is a superb way to get sporty in the winter months.